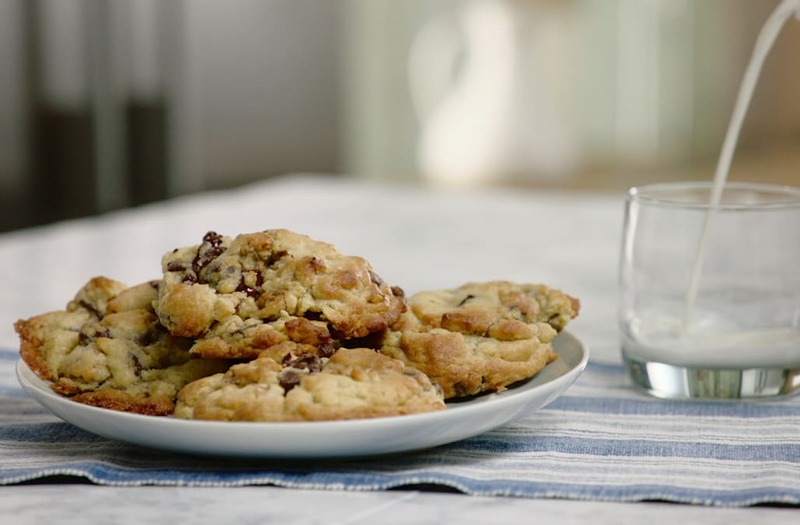 In this week's episode of Best Bites we whip up some ooey gooey decadent chocolate chip cookies. Our inspiration? The infamous Levain Bakery in New York City! Preheat your oven to 410 degrees Fahrenheit. In a bowl, add the butter, sugars and beat until the mixture is creamy. With the mixer still on, add one egg at a time, making sure to beat for 30 seconds in between each egg. Add in both flours, cornstarch, baking soda, salt and combine with the mixer. Finally, pour in the chopped walnuts and chocolate chips and give it one last mix! Create large balls from the dough and place onto a baking tray. Bake until golden brown, or 9 to 12 minutes, at 410 degrees.